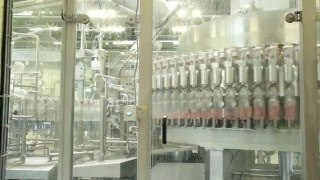 Automatic filling - unique and patented. With the AutoLoadBaler you save annualy up to 4.000 hours at the disposal! 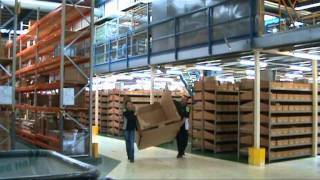 Our customers optimize their disposal processes and their disposal logistics. By that way they save every year up to 4.000 hours. This time can be used for the core business. Especially the half-automatic baler AutoLoadBaler is a real “Optimizer”. The dewaterer LiquiDrainer empties filled beverage containers reliably. The liquids drain off targeted and packaging material can be compacted into briquettes with the full automatic briquetter . For PET-bottles, beverage cartons and beverage cans. 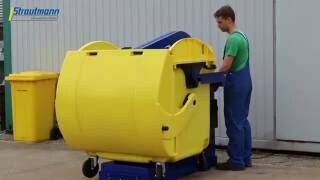 The BaleTainer® compacts high amounts of recyclables without any problems. The feeding variants are flexible. From manual filling to conveyor belt filling upt to lifting- and tilting devices. The result direct marketable bales. BaleTainer® - get to know more! High volume reduction and high briquette density ensure full transport capacity of trucks and sea containers with 24 t. The number of transports is reduced and tranportation costs are saved. Further more the recyclable can be sold profitably and forwarded to the recycling loop. See our product- and reference videos! 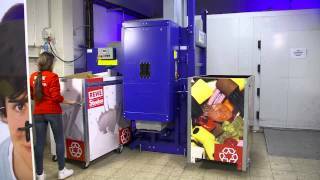 The AutoLoadBaler optimises the disposal at Rewe Stenten! Easy and safe disposal of residual waste with Strautmann! Full automatic BaleTainer® in action at Kawasaki! We have the right solution for your disposal.